Slovakia Unfortunately many people will think of Russia or Czechoslovakia when hearing the word – some will have no idea it’s even a separate democratic country. And that’s a huge shame! Slovakia has a lot of hidden gems and so far I have not heard of anyone who visited the country and did not find something they would really enjoy – and no, no one is killing tourists here like in the Hostel movie. The movie was not even filmed in Slovakia so not a scene in it is real. Be brave, don’t trust the movie and go to explore the best places of Slovakia. As I was born in a small town in the very East of Slovakia, just a few kilometres from Ukraine border, each time I wanted to fly to another country, I just had to cross the whole Slovakia to get to the airport in the capital Bratislava – everyone says it’s a waste of time to live so far away but for me it has always been a pleasure as I can say I really know Slovak hidden gems personally now. If you ever go to Slovakia, please do not make the same mistake as many others. Bratislava is a cool city with beautiful old town, 2 castles and amazing Danube river but it has nothing to do with the rest of the country. In the past few years Bratislava has changed from a communist city into a Western city and even the prices got higher. The rest of Slovakia has not changed so much. During your typical route Prague-Bratislava-Vienna-Budapest I also recommend you to find a week or two to spend some quality time in the ”real” Slovakia. One of the 9 national parks in Slovakia is the most visited by both locals and foreign tourists. The prices here are about the as in Bratislava but still you won’t destroy all your budget compared to other European destinations. 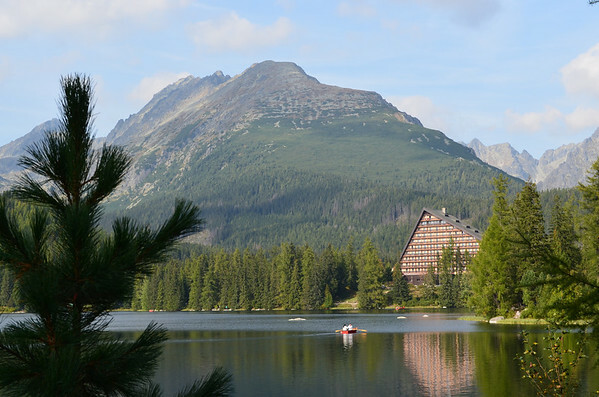 High Tatras can be visited both in summer for hiking, or winter for skiing and snowboarding. For those less fit, there are many easy walking routes, chilling out at lakes and also getting the best views on a sunny day from a cable car. You cannot get to the High Tatras highest peek – Gerlachovsky stit, but the second highest one with 2,633 m a.s.l. – Lomnicky stit is reachable by a cable car. With just around 250,000 inhabitants, Kosice is it the second biggest city of Slovakia. If you visit Slovakia in 2013 and you are a culture/concert freak, then you have to visit the Eastern Slovakia town of Kosice! Together with Marseille they are both European capitals of culture of 2013 offering its visitors concerts, festivals, dance performances, night galleries and museums, literature classes, music days and much more. 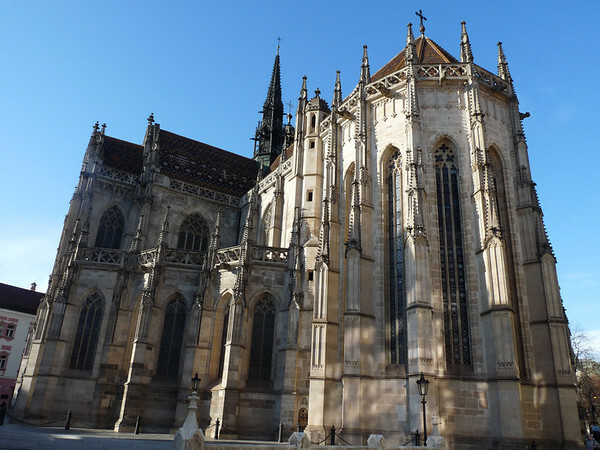 Don’t forget to visit also the St. Elizabeth Cathedral from 1380 which is the biggest church in Slovakia. 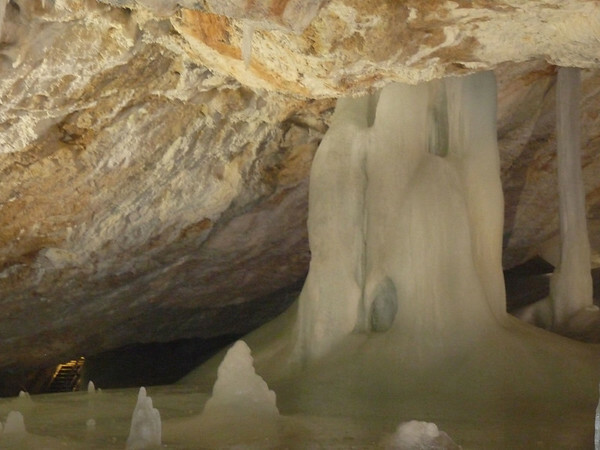 Many people are amazed at the fact that we have at least 44 explored caves in such a small area and many more undiscovered yet, out of which 2 are ice caves and one aragonite cave (Ochtinska aragonite cave is one out of the only 3 aragonite caves in the world). The ice caves (Dobsinska ice cave, Demanovska ice cave) are covered with ice throughout the year but logically have more ice in winter months. Get ready for hundreds of steps and bring your jacket, gloves and a hat. 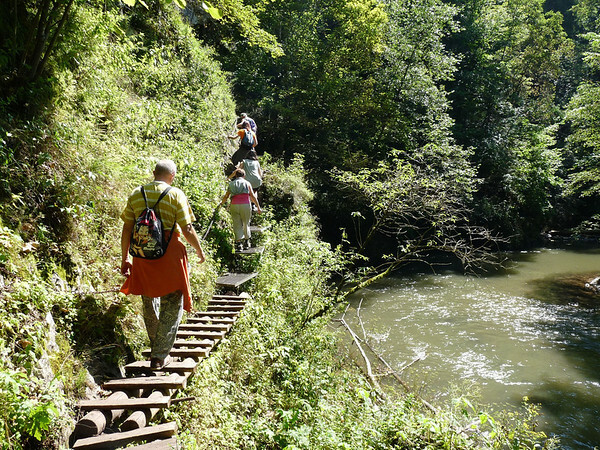 One of my favorite places in Slovakia – unspoiled nature, fresh air, clear water rivers, a bunch of small waterfalls and gorges formed by many creeks you need to cross and the best views when hiking the national park. All this and as well as the ruins of Klastorisko – a monastery from the 13th century which was hidden in the forest for hundreds of years until its ruins were rediscovered. Slovensky raj with its literal translation Slovak Paradise truly proves why it got its name. 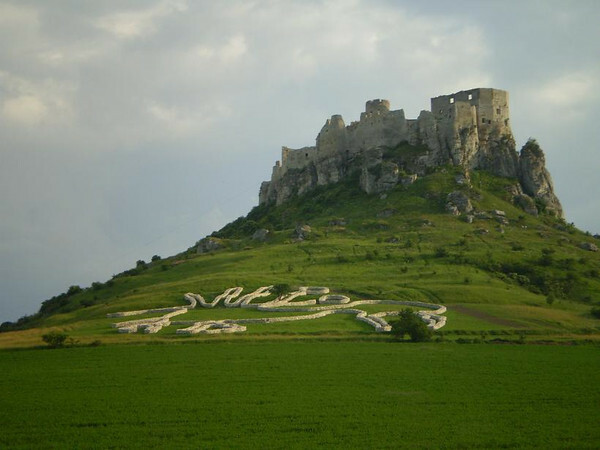 Spissky hrad (sometimes translated to English just as Spis Castle) is a complex Romanesque castle with walls from the 12th century. A UNESCO World Heritage Site since 1993, it is also claimed to be the biggest castle in Central Europe. Situated on a huge whitish calcareous stone it’s visible to tourists and passers by already from afar. Unfortunately, the castle burned down in 1780 and only the ruins that are being reconstructed remain. It still attracts thousands of visitors every year and has been used as a location in many movies, too. Kyiv (spelled Kiev in English) is a city with a long and fascinating history dating back more than 1400 years, making it one of the oldest cities in Eastern Europe. Once the capital of Kievean Rus (the birthplace of Russia, Ukraine and Belarus), Kyiv played a big importance and was the first city in Kievean Rus to be baptized into Christianity in 988 by prince Vladimir. Today the christian religion is as strong as ever, and the number of church goers is high. While I’m sure most of them go to church for the pure purpose of religion, I can’t help but to think that at least a few of them are like me: people who are not the slightest religious but who absolutely love going to churches just to appreciate the architecture. Also known as Kiev Monastery of the Caves, the size of the monastery is more like a small town. Being a UNESCO World heritage site, this historic Orthodox Christian monastery is full of wonders to behold, from bell towers, cathedrals and underground caves. The Uspenskyi cathedral is exceptionally luxurious, covered with gold and beautifully painted with frescoes and mosaics. Kyiv Pechersk Lavra is very famous for its caves, a very complex system of narrow underground corridors, living quarters and underground chapels. These were created by monks over a thousand years ago, and are believed to be healing because of the saint hallows that are slumbering in them. The caves are always filled with locals and tourists, and if you go there just remember to act respectfully and for women to cover their hair. This cathedral was built in 11th century and is considered a masterpiece of Kievan Rus architecture. With 13 domes dominating the skyline, the cathedral facades are embellished with ornaments and paintings. You will find beautiful decorations and paintings in every corner of the building, from frescoes to mosaics – even the church bell is decorated in art from the 11th century, but the most impressive one is the world-famous Virgin Orans icon, a six meter high al fresco and one of the greatest sacred symbols in Ukraine. Constructed in the 12th century by the palatine family Olgovichi, the Cyril’s church has some unique frescoes covering 800 meters of the building. Some of the frescoes are real masterpieces like the “Angel that rolls the sky”. The most interesting thing about this place though, are the caves that were found in 1903, that guide to the Stone Age settlement, proving that Kiev has been inhabited not only 1500 years ago but 50,000 years ago! Have you been to any churches in Kyiv or Eastern Europe? If so, which one was your favorite? BratislavaIf there is one word that would sum up this place, it would be ”quirky”. There are so many quirky details to be found in this city if you look for them, like a bright blue church and funny statues everywhere. We happened to be there during the beginning of some festival, so the streets were filled with people in traditional folk lore clothing and performing folk dance on stage! Bratislava really doesn’t seem like a capital city, and to be honest I don’t think they should try to make it that way either. It’s good just the way it is. Nearly everything is within walking distance, large areas of the city are completely free of cars and the whole place has a small town feel to it. It’s a city which seems to make adults act a bit like kids again. We hope you enjoyed our Bratislava video, and stay tuned for at least 1 new video every week – Next stop Austria! Bratislava likes to call itself ”The Little Big City” – perhaps because it’s a small city but still the capital of the country, forgotten by many, unknown to others, waiting in the shadows of the big neighboring capitals ”Vienna” and ”Budapest”. Even Bratislava’s airport is called “Vienna airport” by Ryan Air, despite being in another capital – let alone another country. But the capital city of Slovakia still tries hard to fit into those big shoes that capital cities are expected to wear, however it is not quite succeeding. The city really doesn’t seem like a capital city, and to be honest I don’t think they should try to make it that way either. Everywhere on the streets you see these quirky, fun statues and people in all ages playing and posing with them, taking silly photos and showing off to their friends. On the main square there was some small local celebration going on with medieval games on the streets, stalls with traditional snacks and a stage where dance groups dressed from top to toe in incredible folk lore dresses were dancing traditional Slovakian folk dance. You’d be amazed to know how many weddings we’ve accidentally attended during this trip, and even more wedding photography sessions. In Bratislava alone we saw 5 wedding couples around the churches, and accidentally attended a baptism celebration in a bright baby blue church, which on the inside looked just like a baby’s cradle. This bright blue church was a real fun and quirky touch, unlike any church I’ve seen. To me, this little capital was a colorful spot on the map, full of cafes with unforgettable thick custardy hot chocolates and fun surprises around every corner … really a great place to visit and explore for a few days. Bled Slovenia Turquoise Lake was outstanding. The small turquoise lake with a tiny island and a church on top with a mysterious “wishing bell”, the castle perched on top of a steep mountain, alps and green forest surrounding the villages – 100% fairy tale like! The people we met there were among the most outgoing ones we’ve met during the trip so far, and unlike many other places in Europe, the locals seemed grateful for the tourists coming there, and made an extra effort to show us and tell us everything about their village. We’re going to be staying in a little town called Bled. We’re woken up nice and early here in Bled. We’re going to go around the lake and up to this vantage point overlooking the whole lake and the Alps around here. Every picture you see of Bled has apparently been taken from this hill. So it seemed like an amazing place to get a good shot. The only problem is it’s up a massive steep hill that takes about an hour to get there. So we’re going to go and workout. I think we’re about halfway up the hill now. It’s been really steep so far, but we’re going to push through and then we’re going to get a nice view at the end. I’m pretty sure it’s going to be worth it. They put these ropes here to hold on so you don’t fall down. There really is a cliff here. We were kind of joking when we said it was going to be a workout, but it’s just ridiculous how steep these stairs are. We’re on top of the mountain. And we said let’s go and workout. We didn’t expect it to be this crazy. It’s a very steep hill. But the view here was absolutely worth it. So we’re overlooking now, overlooking Bled, the Alps, the church, the castle, every iconic spot here in Bled, we can see from this viewpoint. So it really is Worth it. It really it the best place to see Bled. The sweating, the hard work, was definitely worth it. Now we’re going to go back down, and Sofia’s been hinting that she wants to go for a swim in the lake. It looks so inviting doesn’t it? Yeah, she brought a bikini along as well so, we’re going to walk down and see how warm it is. As you can see, I’ve decided to do it. It’s freezing in the water, but it’s really warm outside, so I need to cool down. It’s quite nice when you get used to it. We’re about to take one of these pletna boats, it’s a row boat, across to those islands. It’s the only natural island in Slovenia, and it’s got this incredible iconic church on top with a lot of history. So it’s going to be really cool to check out I think. We arrived at the island and this island has a really long history dating back to about a thousand years. But today, there’s a church called the Assumption of Mary up here, and it’s a very popular place for people to get married. The tradition is the groom carries the bride up each of these 99 steps. I’m glad I’m not the groom. Before this church was built, Pagans used to come and worship the goddess of love and fertility called Živa. Bled Slovenia can be summed up in one word – INCREDIBLE! Everything to do with this place was amazing – the nature, the food, the people – add onto that the lack of tourists and you really have found a place which is off-the-beaten track yet still right in the middle of Europe. I really can’t wait to go back there and spend more time explore the rest of the country. Bled is a gorgeous little town in Slovenia, located by a turquoise lake and surrounded by deep green forest – it’s the perfect romantic weekend break to take, to both enjoy nature, relaxation and good food. Here are some fun things to do on a weekend trip to Bled. One of Bled’s most beautiful attributes is the tiny island situated right in the middle of the milky turquoise lake – you can reach it either by renting a rowing boat and row there yourself, or jump on one of the small traditional pletna boats over to the tiny little island on the lake. On the island is the Church of Assumption, dating back to 1698 – inside the church is a bell called “the wishing bell”, because apparently if you ring the bell three times it will give you good luck! The church itself is beautiful, with well preserved frescoes of Virgin Mary and a great legend behind it. Bled is surrounded by lush nature and there are many beautiful walks in and around the village. If you just want an easy stroll, you can walk along the lake in a circle back to the town. t’s about a 2 hour climb, but the views overlooking the lake, the castle and the town are incredible. Triglav National Park is also nearby, which offers some amazing opportunities for outdoor enthusiasts, and there is a gorge nearby which is well worth visiting, but it’s not quite walking distance. Instead we suggest renting a bike and visit the gorge as well as the surrounding villages, each with their own charm. Bled is famous for the creamy, heavy cake called Kremna Rezina – the vanilla custard cream filled cake is Slovenia’s claim to fame, and was invented in 1953 at Park Hotel, a restaurant in Bled. While there are many places serving this cake, there is something special about having the cake where it was invented and tasting the cake from its original secret recipe. However, people argue that while it’s the original place, the place with the best cake is actually Slascicarna Smon – why not try them both? It’s not very easy making international calls from Bled as it’s such a small town and there aren’t many internet cafés around – it’s better to simply stay at a hotel, or hostel that offers wi-fi, because that would make free online calling much easier. Most other daily necessities such as convenience stores, supermarkets, cafes and restaurants are readily available in the town, although keep in mind that many of them are closed on Sundays and might close early in the afternoon. We hope you found this guide to Bled helpful and that you have a wonderful time visiting Bled and Slovenia! We knew little to nothing about Slovenia before starting the Europe Train Challenge. It was like a country which had been left in the shade between Austria and Croatia. But very soon all of that changed, and we went from not knowing anything about it to absolutely adoring it! Bled, the small town we went to in Slovenia, was almost too good to be true. It was one of those places you didn’t really think could actually exist, other than in Disney movies. The lake was unlike anything I have ever seen; bright turquoise from a distance, but when you went closer the water was so clear that you could see fish swimming 2 meters below the surface. The wild animals were more curious than afraid of people; swans and ducks swimming closer to get a better look, curious of you and your camera. I mean seriously, the wishing bell just takes the prize! – this place cannot be for real?! 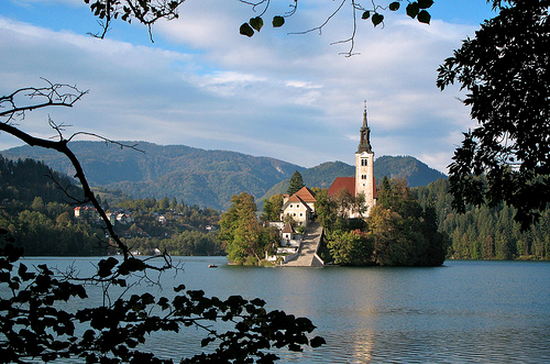 There are a lot of legends about Bled, with the one about the wishing bell being the most famous. The story goes that if you make a wish and ring the bell three times your dream will come true, and many people say that they actually do come true. But what made our visit even more memorable were the people we met in the town – they were all so friendly. Tourism is finally catching up here since the Yugoslav war (although Slovenia was never really in war, except for 10 brief days, tourists were afraid of going there for many years). And unlike some other places we’ve been to, the people there seemed very grateful we were there and instead of wanting to keep Bled for themselves, they were very proud and wanted to share this little gem with the whole world. So if you’re around Croatia or Austria, please do take the time to visit Bled in Slovenia as well, it really is such a special place! Before I went to Slovenia I knew absolutely nothing about it. This was partly down to my ashamedly poor general knowledge but, in my defense, Slovenia also seems to be bizarrely far off the tourist radar. My friend Sally and I decided to go because we had both been to Croatia and Italy before, but neither of us had ever even considered Slovenia and from all the photos it looked pretty stunning. We arrived with no place to stay (very disorganized) but luckily found somewhere almost immediately, although they called it a hotel, it is more like a cozy guesthouse. The outside was beautifully decorated with hundreds of colorful potted plants growing on the yellow painted window sills, I felt as if I was stepping into a doll’s house! Inside was equally as vibrant with a beautifully tiled entrance hall and lots of wooden furnishings. However, the thing I really loved was that they had hundreds of bikes (fully equipped with helmets and locks) that you could borrow, so it was really easy to get around. We soon discovered that we were only five minutes from Lake Bled so we peddled there in the early hours of the morning and got there just in time to see the sunrise on the Lake, I felt as if we had cycled straight onto a postcard, it was o picturesque! We then walked around the Lake, which can take up to two hours, but it was incredibly relaxing. I would recommend taking the boat to the island on the lake as there are some beautiful old steps there that lead to a lovely church. To top it all off there is a beautiful view once you reach the top, so make sure to bring a camera, as I completely forgot! For the last few days we decided to travel to Ljubljana (the capital of Slovenia) and treat ourselves by staying in the fantastically luxurious Antiq Palace Hotel. Originally for the aristocracy, we felt very posh (and slightly out of place) as we walked in. The room was absolutely beautiful, we got a suite (I know really pushing the boat out!) which had a Jacuzzi in it. Naturally we spent the next two days acting like celebrities. They also have a Spa that offers great massages that had us floating on cloud 9, I felt more relaxed then I had been in years. Plus there is a relatively large gym, which kept the holiday weight off, just! Although not as beautiful as Bled, Ljubljana has a great deal of character and loads to do! I would recommend the walking tour and ride to Ljubljana castle. I learnt so much about the history of the city, the buildings were a mixture of Baroque and Art Nouveau architecture, I was in complete awe and this time I had my camera. I would highly recommend this beautiful place to anyone considering an adventure. Slovenia Hotels are full of character and charm and there is so much to see and do. Thanks for posting 🙂 I see I will have to spend some time in Slovakia this summer to revisit all of these beautiful places. I have myself only ever made a flying stop in the city of Senica which was very nice. We were mainly there for a football match over from the UK, but it was a nice place to visit and not what you would expect. Slovakia as well as countries around it are hidden gems and there are still so many places uncovered for many cultured travellers. I’ve heard so little about Slovakia. I never thought this place is a paradise. Very nice article about one of the hidden gems of Eastern Europe, love the castle photo, definitely makes me want to visit. Good stuff! Another place I really need to visit! Paradise and the Castle are my favorites but I don’t think I’d miss the other areas. Wow! High Tatras looks amazing. I’ve never really thought about traveling to Slovakia before, but this pic definitely has me thinking about it now. Lovely to see these pictures. Slovakia features heavily in two of my novels – ‘The Immolation of Eve’ and ‘The Vengeance of Legion’. I have become fascinated by its geography and folklore. Very good selection. I would also add little towns, e.g. Levoca – they are very colorful and nice.